These days I rarely buy magazines and I’ve never bought a metal magazine before, but yesterday (which was of course Fox Day) I found a copy of the April edition of Metal Hammer at a local newsagents, which has BABYMETAL on the cover. In 3D. Needless to say, I did not hesitate in picking it up. 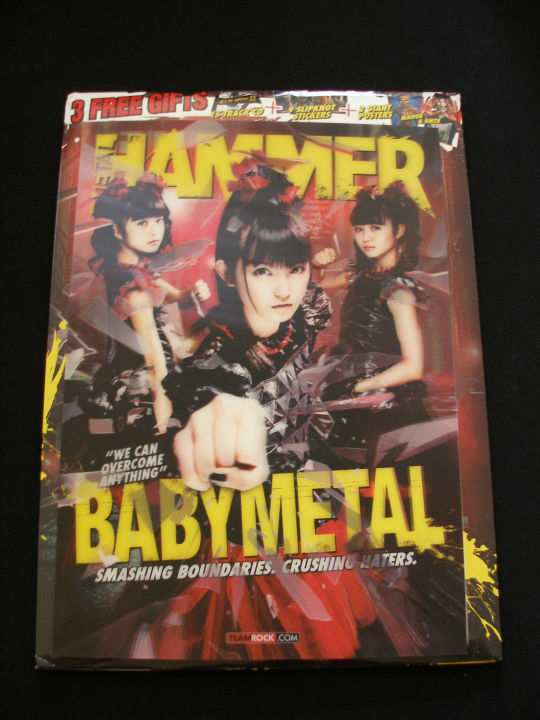 This entry was posted in Magazines and tagged 3D, BABYMETAL, Metal Hammer by maruserino. Bookmark the permalink.